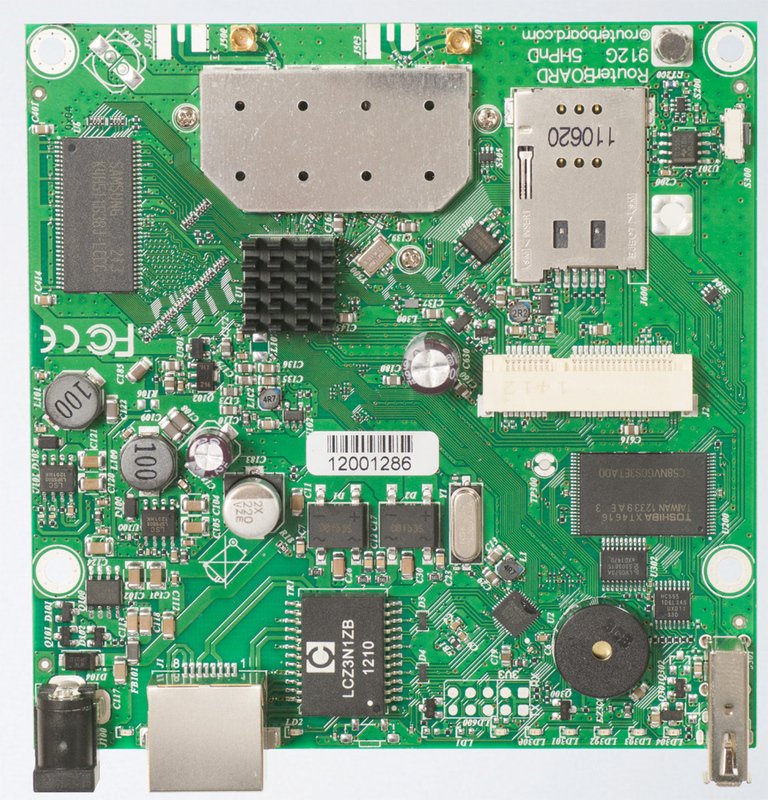 RB912UAG-5HPnD-US (US and Canada) This RB911 is a small CPE type RouterBOARD wireless router with an integrated 5GHz 802.11a/n dual chain wireless card and Gigabit Ethernet. RB911 includes RouterOS - the operating system, which can be a router, firewall, bandwidth manager, a CPE and more - all at the same time. This device includes two MMCX connectors. The integrated wireless card is capable of up to 30dBm (1000mW) transmit power output. Built in 16kV ESD protection on both the RF and Ethernet ports.